The December Update of Therefore™ Online is here! Therefore™ Online – The Fast Lane to New Features! Therefore™ Online customers are the first to receive new features and updates to their Therefore™ system. 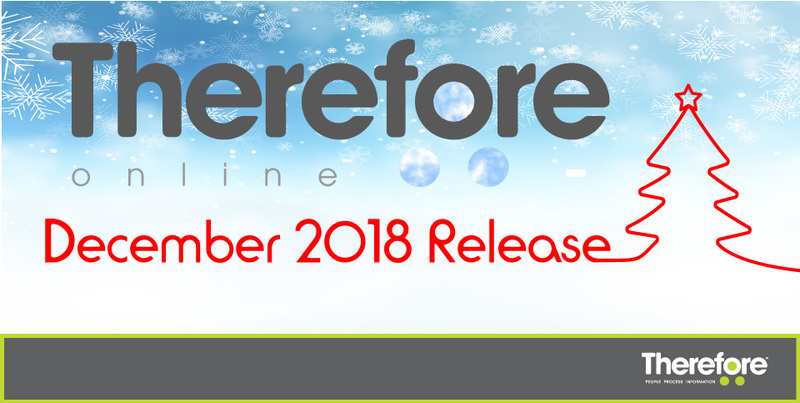 The December 2018 Update includes some new features and useful tweaks to make your Therefore™ experience even better. The Therefore™ Content Connector now has barcode and OCR data recognition. Input files can include PDFs and images (e.g. tiff, jpeg etc.) and output documents can be saved as either the original file type, PDF or PDF/A. But that’s not all! Check out the latest release notes for a full list of changes in the December 2018 Update.